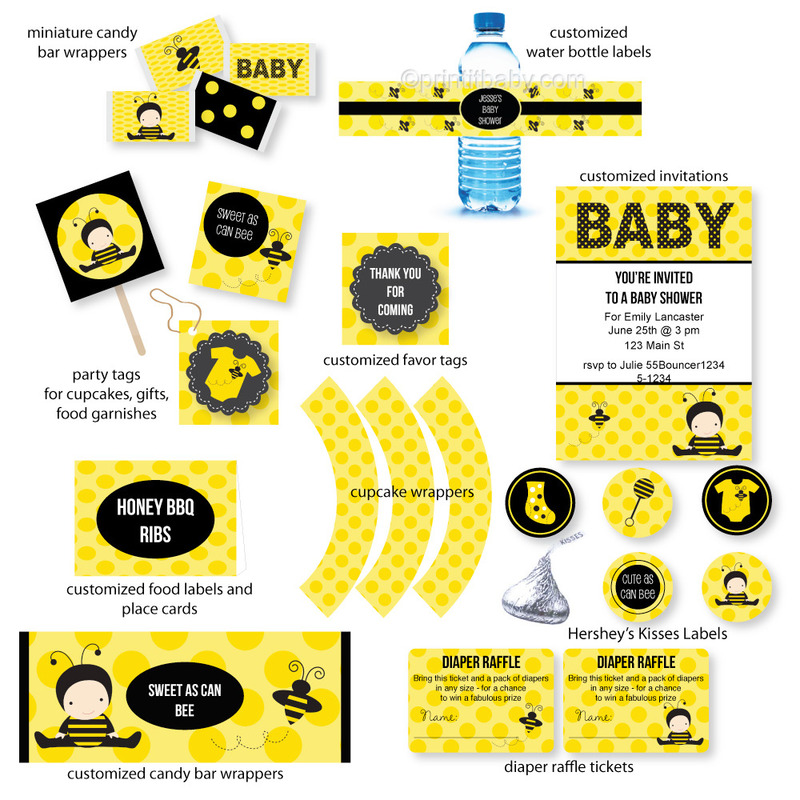 We have bundled together everything you need to host an amazing 'Baby Bee Baby Shower!' This print-from-home theme pack is cheery & colorful - and ready to brighten up your shower! Printable Baby Shower Water Bottle Labels - customize - Liven' up the food table with customized water bottles! Cute and simple to make. 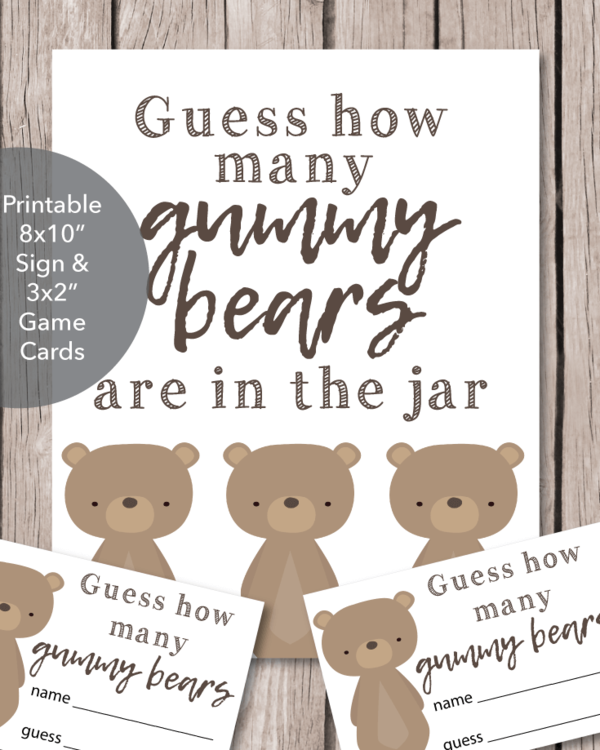 Printable Candy Kiss Labels - These fit perfectly on the bottom of chocolate kisses, mini Reese's Peanut Butter Cups and on the lids of bottled water! Place in a cute candy dish or give as favors! Print as many as you need! Non-customizable. Type in shower details, print, attach to favors with a cute ribbon & you're done! Party Tags - great for cupcake picks, food picks, napkin ring toppers, gift bag tags! Candy Bar Wrappers - customize with the shower details - print - wrap around a chocolate bar & hand out to guests as favors. around miniature-sized candy bars. Bundle up in a cute bag, attach a favor tag and give as favors. Or, place in candy dishes and serve as treats! Place Setting Cards/Food Labels - customize - Use as place cards or to label fancy food dishes! Customize, print, cut and fold! Cupcake Wrappers - Wrap around baked cupcakes to add polka dot cuteness to your baby shower cupcakes! -not to be baked in, wrap around original paper liner. 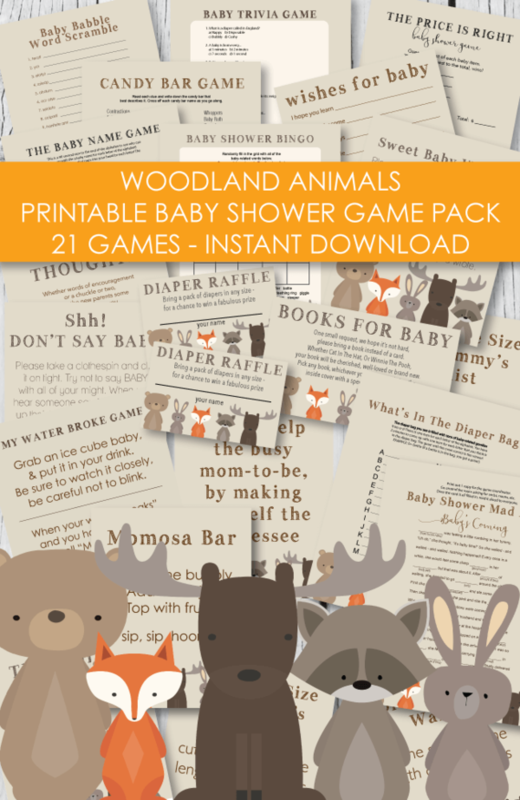 Diaper Raffle Tickets - Print off and tuck inside the baby shower invitations.